The Difference Between Red , Green , Yellow And Orange Bell Peppers ?? Recent years lo colourfull vegetables chala famous avuthunai, colourful vegetables chudadaniki manchiga anipisthai. 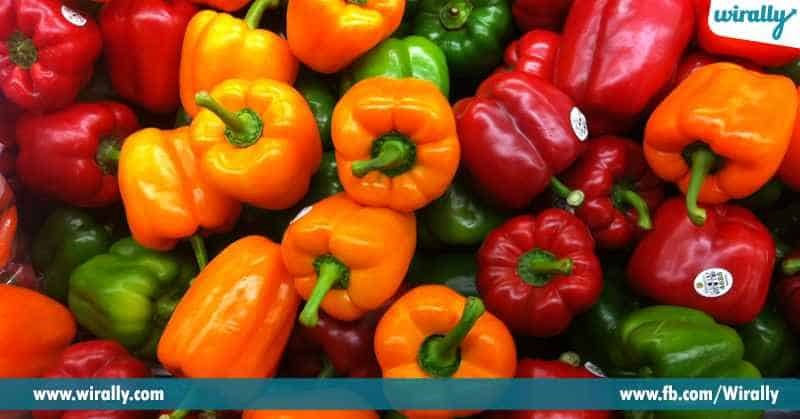 Eelanti colourful vegetables list lo first mana capsicum/ bell peppers osthundi dintlo green , red, yellow inka orange colour untai. Basic ga eevani green capsicum ye kanni vala ripen time valla colour change avuthu untai. Basic ee crop lo green capsicum first harvest avuthundi inka red capsicum complete ripen ayyina green capsicum, red capsicum grow aavadaniki chala time paduthundi. Green capsicum verey capsicum tho compare chesthey taste lo bitter ga untundi. Ee green capsicum market lo easy ga dorukuthundi. Ee crop lo unna ripening chemical process valla red , green , yellow inka orange capsicums taste, apperance inka aroma lo chala difference untundi. Experts prakaram red, yellow inka orange lo nutrients levels green capsicum kanna yekuva untai. 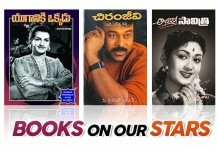 Vitilo makor difference yento teliyali antey check this article. 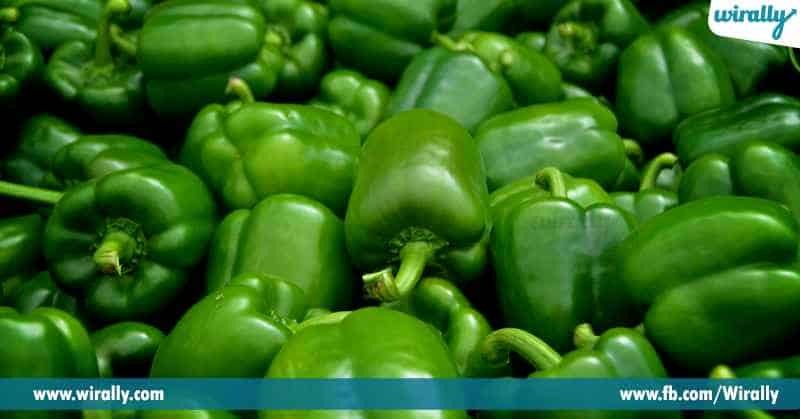 1.Green Capsicum : Fully tipe aavaka mundey ee capsicum ni harvest chestharu. 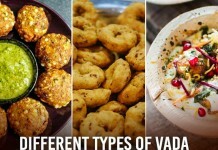 Verey capsicum ki compare chesthey eedi bitter inka cruchy texture tho untundi. Oka veley green capsicum complete ga mature aavali antey first yellow colour ki maruthundi. 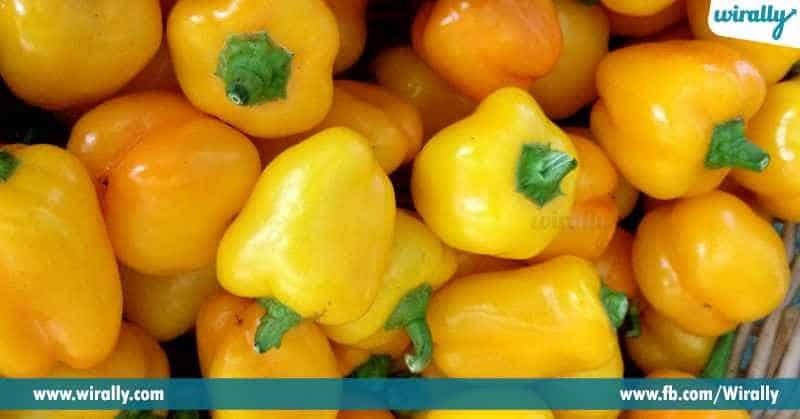 2.Yellow capsicum : Green capsicum kanna eevi koncham yekuva mature avuthai. Veti taste slighty fruity ga untundi. Yekuva ee capsicum roasted inka grill recipes lo vadutharu. 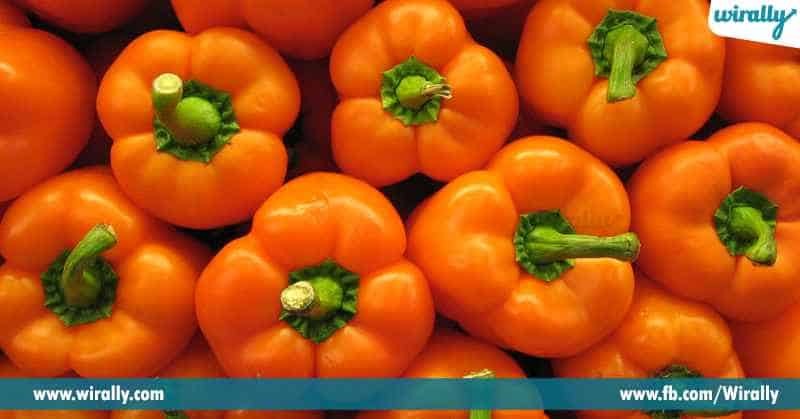 3.Orange capsicum : ee capsicum sweet ga untai. Red capsicum kanna inka thakuva flavourful. 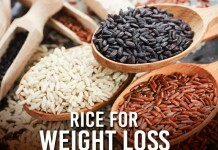 Eevi basic ga salads lo use chestharu. 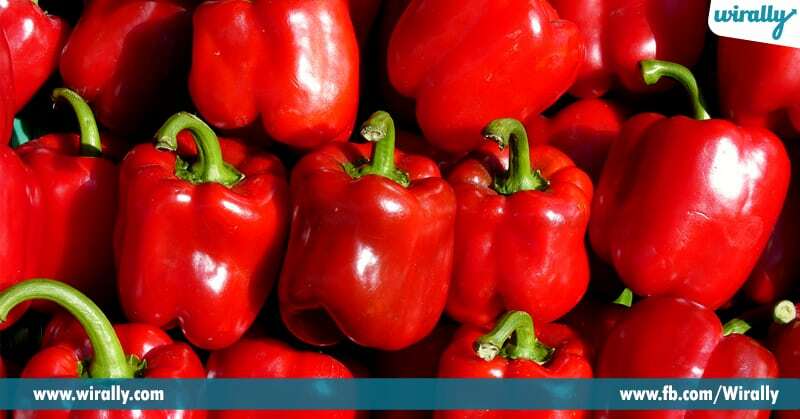 4.Red capsicum : most ripen inka most fruity taste unna vi red capsicum. 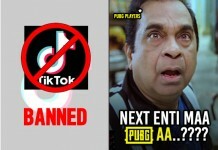 Dintlo carotenoid phytonutrients inka vitamin C lanti poshakalu adhikham ga untai. Green capsicum kanna dintlo 11 times yekuva beta -carotene untundi. Salads inka grilled recipes lo yekuva use chestharu.